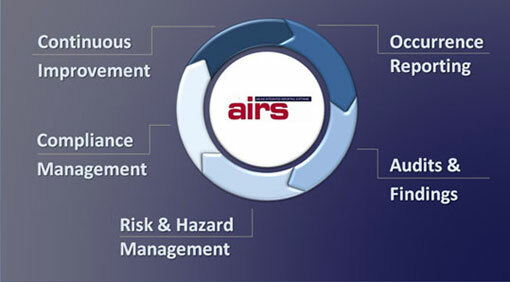 AIRS is an affordable safety & quality management application. AIRS is a custom software application designed to provide safety and quality managers with all the tools they need to manage Quality, Safety, Hazard, Risk and Improvement data. AIRS design is inherently flexible allowing the operator to configure the application to support all divisions of the organisation in accordance with existing workflows and security protocols. AIRS has evolved over the past 15 years as a result of the director’s design initiatives in conjunction with input from the user group. AIRS is available in either LAN or hosted versions.